In my mind, Old St is interminably long – a thoroughfare that requires me to put my head down and walk doggedly until I reach the other end. Sometimes, the thought of walking the whole length of Old St can motivate me to take the bus and, at other times, I have been inspired to pursue routes through the side streets which run parallel, in order to avoid walking along Old St. Yet I realised recently that Old St is short. 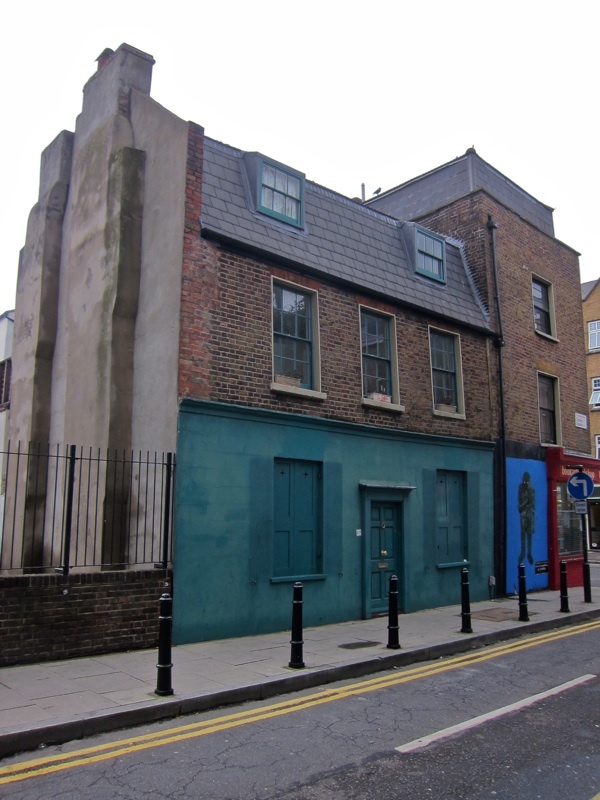 It only extends from Goswell Rd, on the boundary of Clerkenwell, to the foot of the Kingsland Rd in Shoreditch – just a hop, skip and a jump – which leaves me wondering why it seems such a challenge when I set out to walk along it. 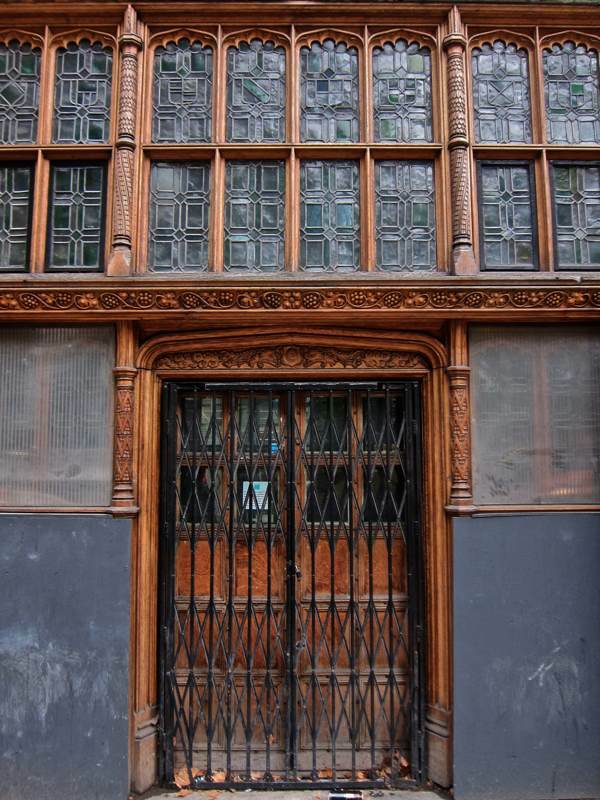 Let me confess, I have no love for Old St – that is why I seek alternative routes, because even the thought of walking along Old St wears me down. So I decided to take a new look at Old St, in the hope that I might overcome my aversion. Over the last week, I have walked up and down Old St half a dozen times and, to my surprise, it only takes ten minutes to get from Goswell Rd to Shoreditch Church. Old St was first recorded as Ealdestrate around 1200 and as Le Oldestrete in 1373, confirming it as an ancient thoroughfare that is as old as history. It was a primeval cattle track, first laid it out as a road by the Romans for whom it became a major route extending to Bath in the west and Colchester in the east. No wonder Old St feels long, it is a fragment of a road that bisects the country. 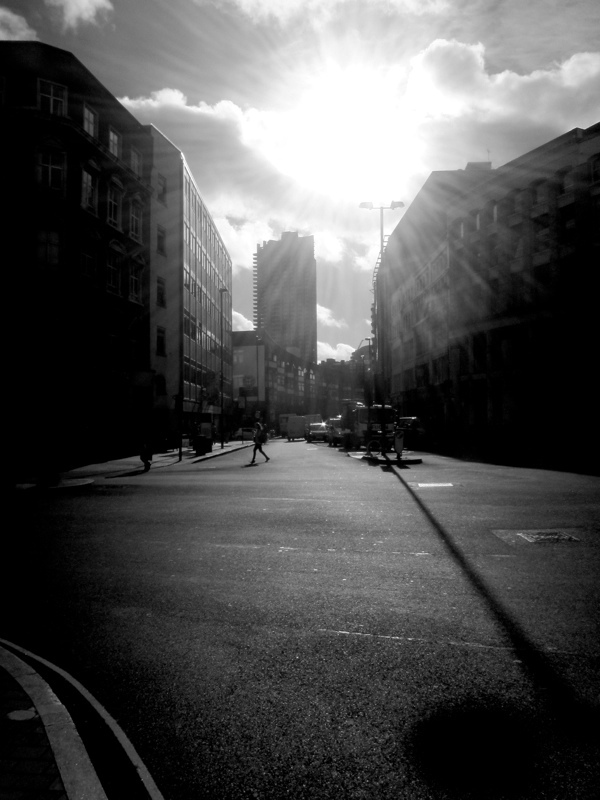 Setting out from Goswell Rd along Old St on foot, you realise that the east-west orientation places the southerly side of the street in permanent shadow, only illuminated by narrow shafts of sunlight extending across the road from side-streets on the southern side. 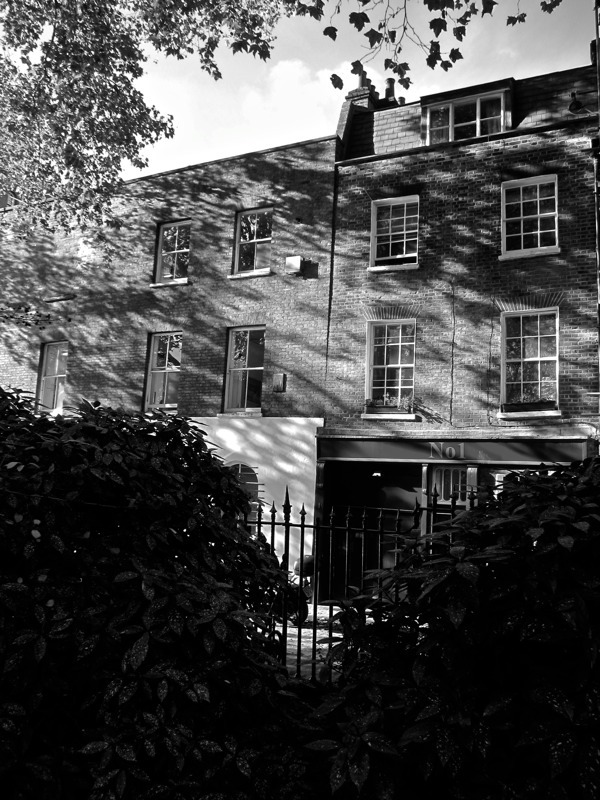 This combination of deep shadow and the ferocious east wind, channelled by the remains of the eighteenth and nineteenth century terraces that once lined Old St which are mostly displaced now by taller developments, can be discouraging. Of course, you can take a detour along Baltic St, but before you know it you are at St Luke’s where William Caslon, who set up the first British Type Foundry here in Helmet Row, is buried. 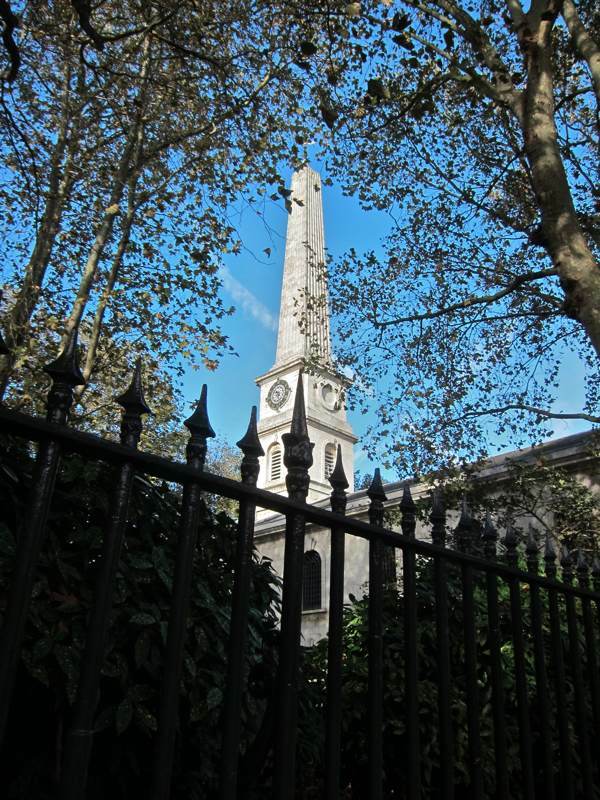 Nicholas Hawksmoor’s obelisk on the top of St Luke’s glows in the morning sunlight shining up Whitecross St Market, which has enjoyed a revival in recent years as a lunchtime destination, offering a wide variety of food to City workers. Between here and the Old St roundabout, now the focus of new industries and dwarfed by monster towers rising to the north up City Rd, you can pay your respects to my favourite seventeenth century mystic poet Christopher Smart who was committed in his madness to St Luke’s Asylum and wrote his greatest poetry where Argos stands today. 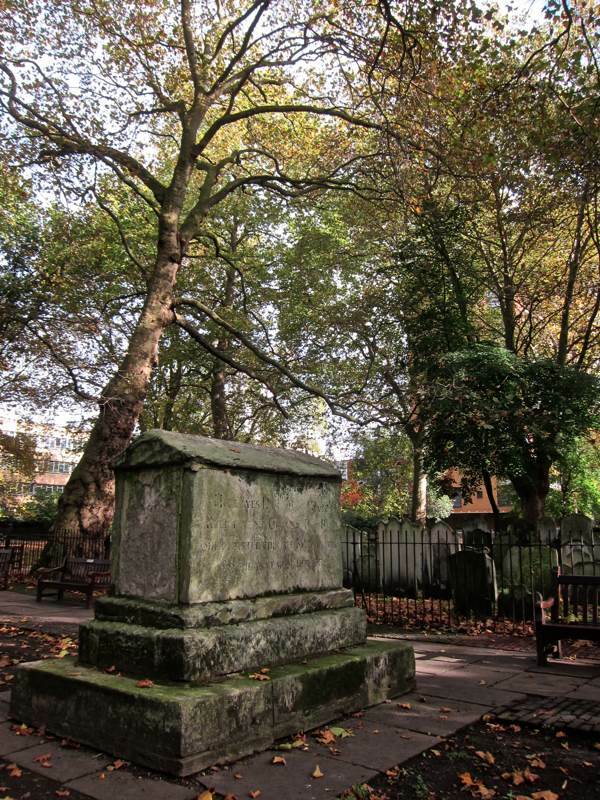 Alternatively, you can stroll through Bunhill Fields, the non-conformist cemetery, where Blake, Bunyan and Defoe are buried. 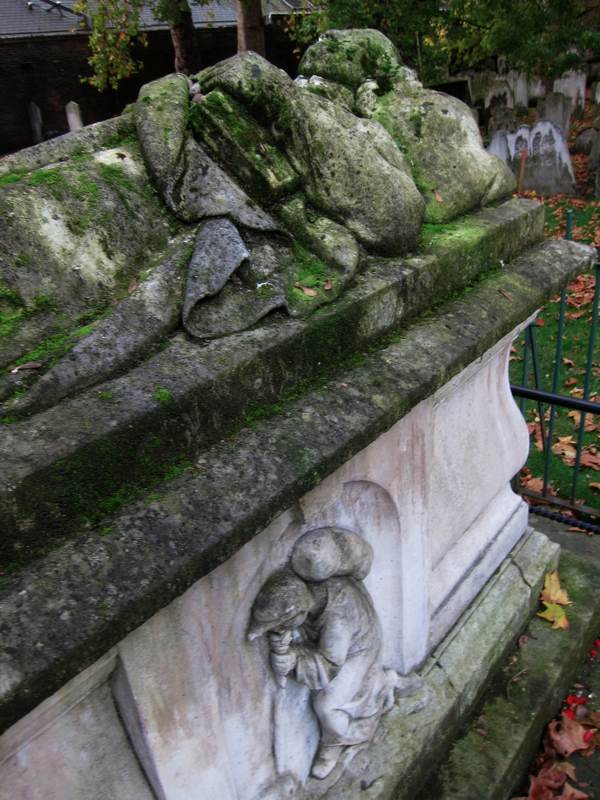 Seeing the figure of John Bunyan’s Christian, the Pilgrim of Pilgrim’s Progress, upon the side of his tomb always reminds me of the figure of Bunyan at Holborn, and I imagine that he walked here from there and Old St was that narrow straight path which Christian was so passionate to follow. 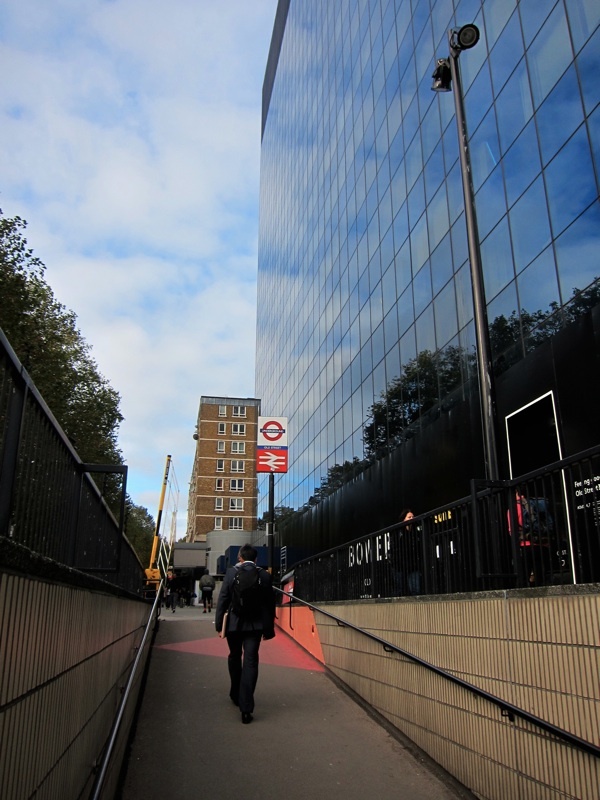 Crossing the so-called Silicon Roundabout, I am always amused by the incongruity of the Bezier Building that for all its sophisticated computer-generated geometry resembles nothing else than a pair of buttocks. Taking a path north of Old St, takes you through Charles Sq with its rare eighteenth century survival, returning you to the narrowest part of our chosen thoroughfare between Pitfield St and Curtain Rd, giving an indication of the width of the whole street before it was widened to the west of here in the nineteenth century. 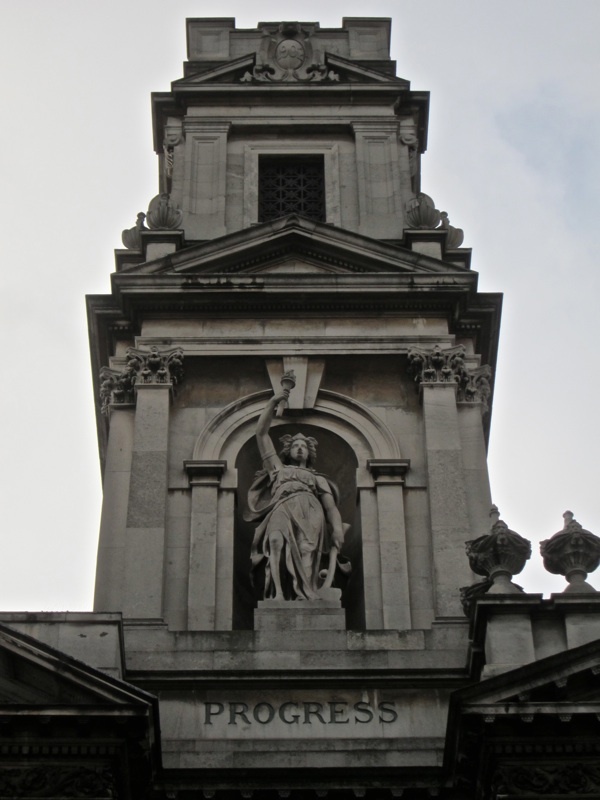 The figure on the top of Shoreditch Town Hall labelled ‘Progress’ makes a highly satisfactory conclusion to our journey, simultaneously embodying the contemporary notion of technological progress and the ancient concept of a spiritual progress – both of which you may encounter upon Old St. 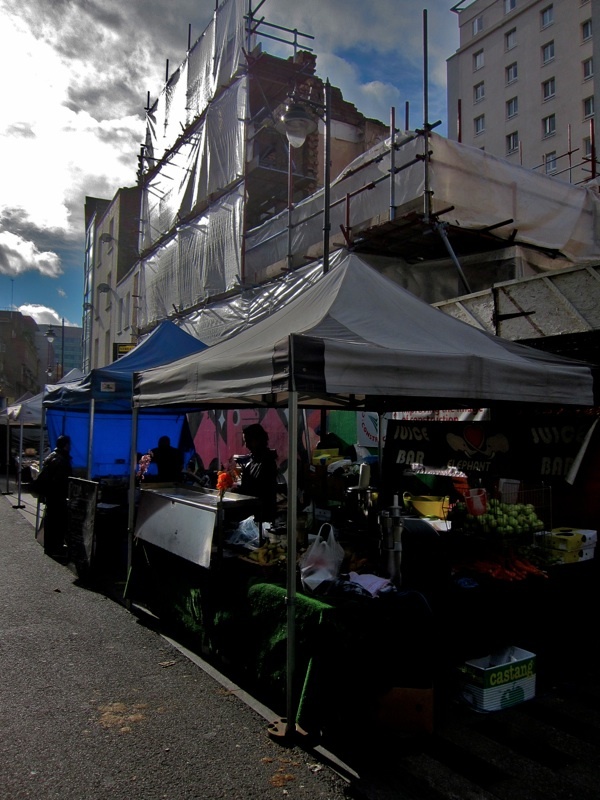 I know exactly what you mean about Old Street – it is unlovely in many ways and so noisy. The roundabout does not help. But there are lots of things to see if you just turn off, as you have shown. 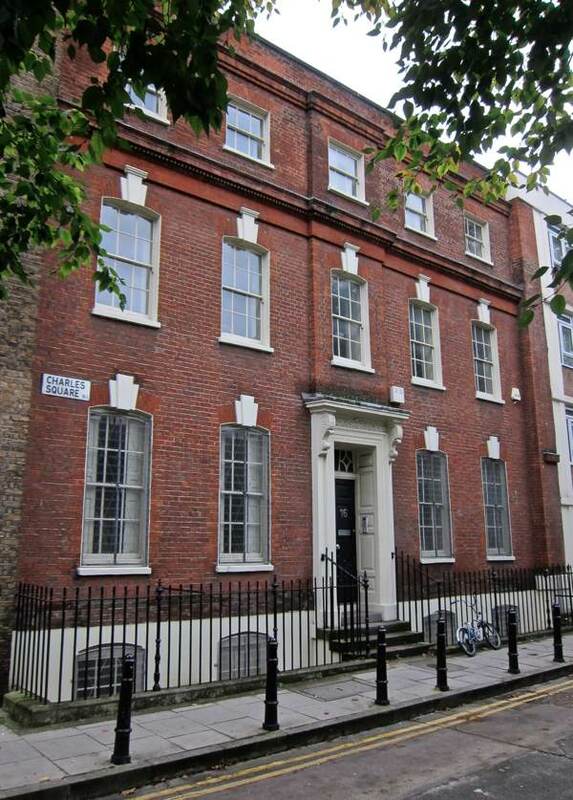 I am always delighted to see the old house in Charles Street which I first found when hurrying, as ever, to get somewhere else, about forty years ago and I still look out for it if I am in the area. What a wonderful street! So many things to see in just ten minutes. More than a pair of buttocks, I see two wine casks. It’s obvious I lack imagination. 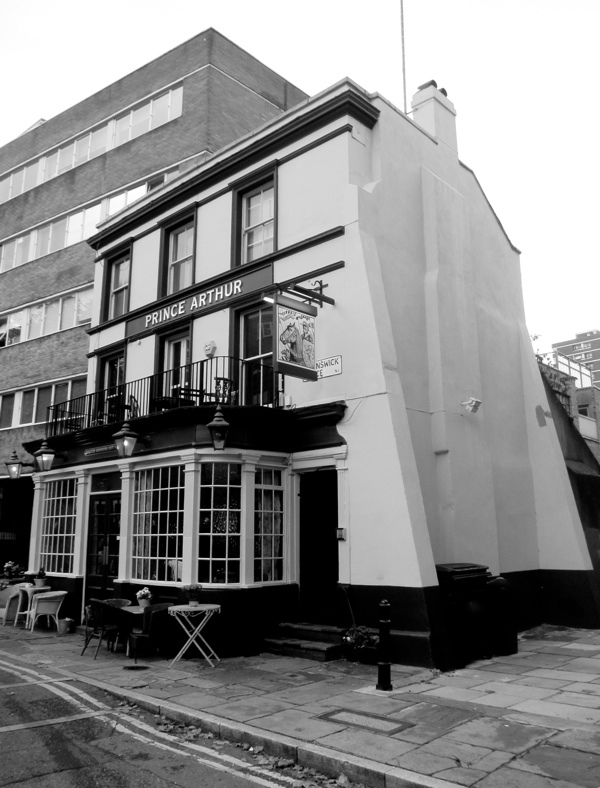 I did my technical studies at the Northampton College of Advanced Technology (now The City University) in St John Street and walked home to Shoreditch along Old Street regularly. I must say that I didn’t notice the landmarks so ably highlighted in your narrative. I can only put that down to a blinkered youth. Maybe one day I will do an Old St. re-run (or, at my age, -walk). 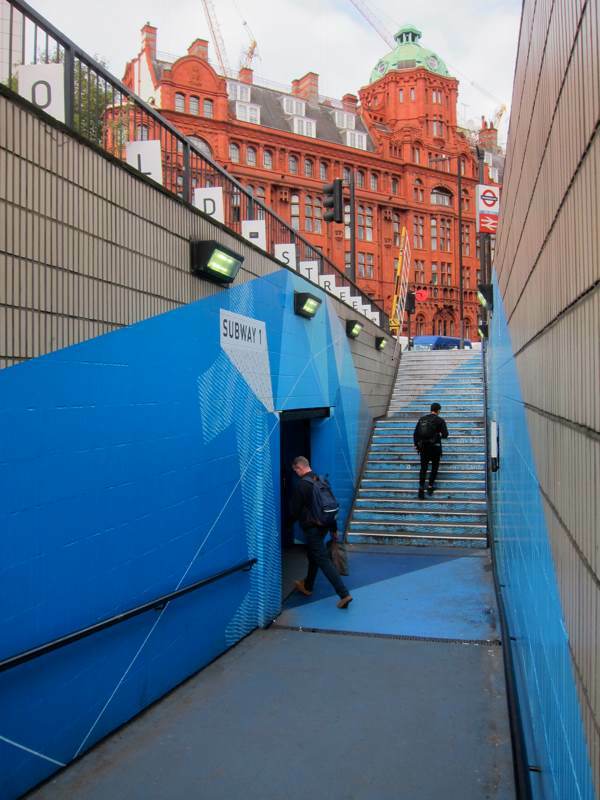 I don’t share your aversion to Old Street – in fact I love it for all the reasons and others shown in your evocative photographs. Every time I tread on it I seem to feel the breath of ancient crowds hurrying east and west. 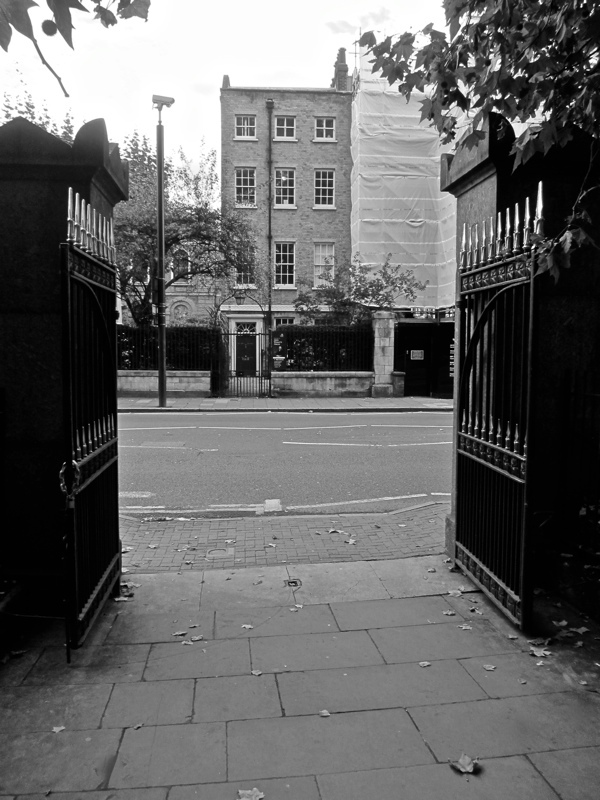 Yet I recognize the feeling of drag and reluctance – I get the same feeling, unchanged for many years -when I walk from the Museum of London to St Pauls tube – along William 1v street. I have tried to understand why – it’s a very short walk. 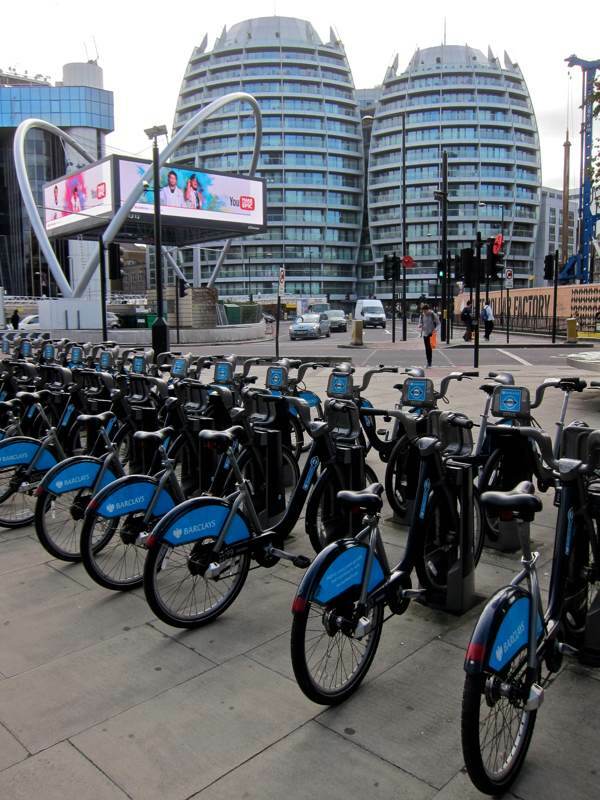 The attractive buildings include the church of St Anne and St Agnes, the entry to Postman’s Park and the magnificent Victorian General Post Office building . Is it the slight incline ? Is it the volume of traffic funnelled towards St Pauls and Holborn ? I read somewhere recently that it was part of the route taking the condemned to Tyburn. Is it possible that the psychogeography has acted on me all this time ? 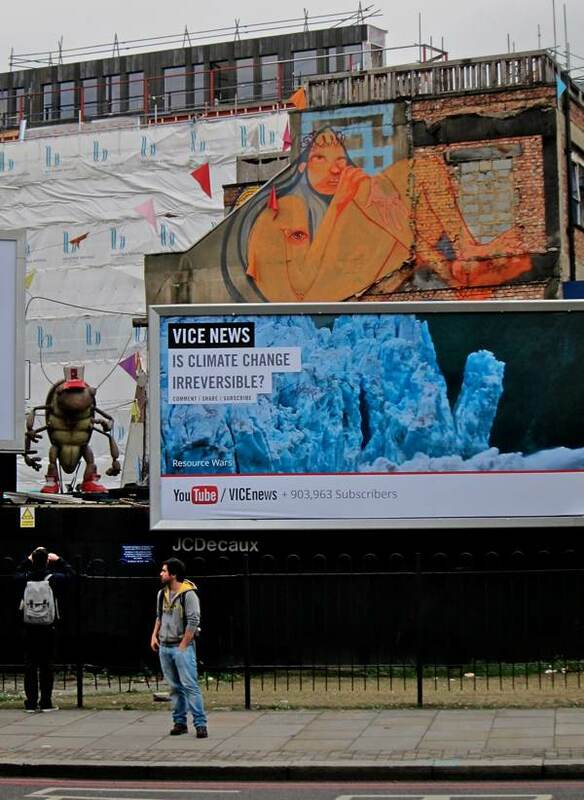 Yet as my contrary response to Old Street shows , perhaps it’s an individual reaction for some other, as yet unknown reason. I too have been time-travelling in Old Street: this was the nexus for London’s plumage trade from around 1870 to 1920. Here all the feather manufacturers had their headquarters: Reuben Barnett, Aaron Blitz, Isaac Davis, Jacob Feis, Salomon Loewenstein, Schoetensack & Co … The trade was propped up by poorly paid female labour. 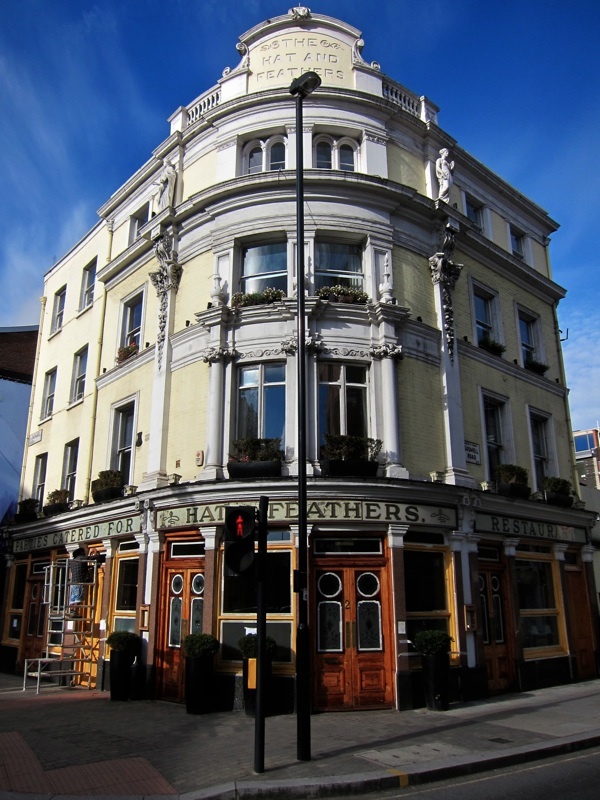 I wonder if the Hand & Feathers pub is a nod to this now vanished profession that once employed so many thousand? I researched this world as background to a book on the forgotten female founders of the RSPB, who were campaigning against feathered hats – or ‘murderous millinery’. ‘Mrs Pankhurst’s Purple Feather’ takes its title from one plump, purple ostrich feather once worn by Mrs P, now held at the Museum of London – a mere stroll from where the feather workers once operated. You missed out the blue plaque to Priss Fotheringham, on the corner of Whitecross Street (opp. St. Luke’s)! You’ve inspired me to take a walk that way. I used to drive along old street but rarely stopped off except to pop into safeways on my way home to Clapton Square. looking forward to a stroll around the area. Thanks. Thank you. I have enjoyed reading all the comments here and I was especially interested to learn about the plumage trade as a family member was described as a feather comber in a 19th century census. Whitecross Street always interests me too as my great grandparents lived there for a while with their three surviving eldest children, and my grandfather, the youngest child, was born there, in Fosters Buildings, in 1874, Sadly my great grandmother was to die there seven years later. 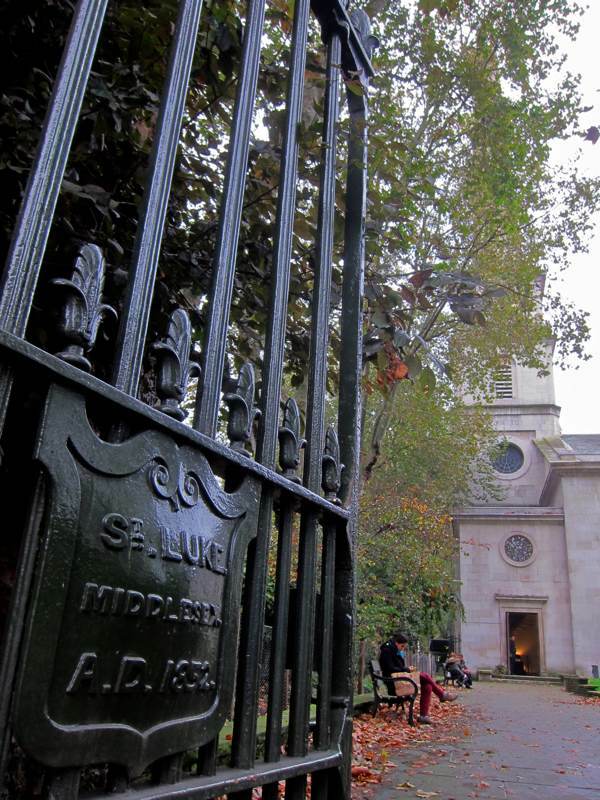 Her first child, Samuel Russell, had died before his second birthday and was buried in Bunhill Fields so there is a lot of family history in this part of London for me. Boy do these photos make me homesick for a home that never was mine. I LOVE London. 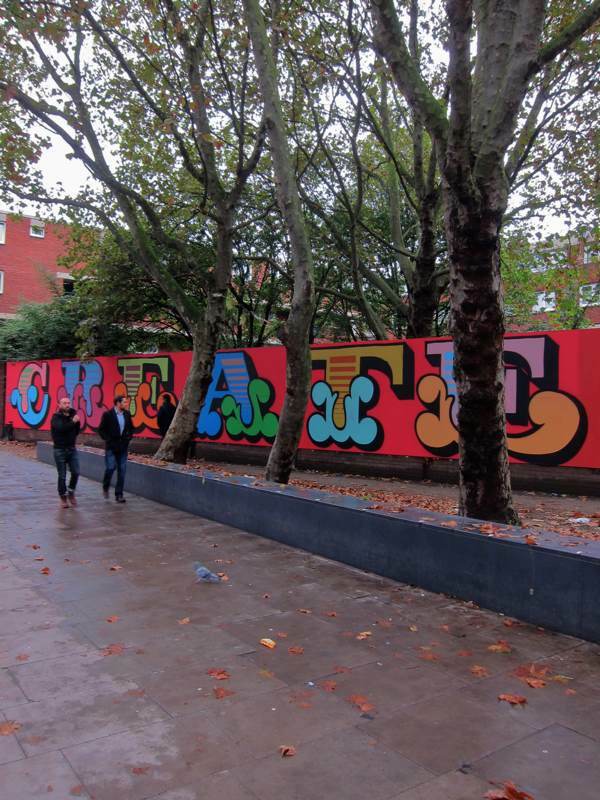 Thanks for this walk down Old Street. I agree with you about the apparent nature of Old Street today but it is important to perhaps say a little more about the past. 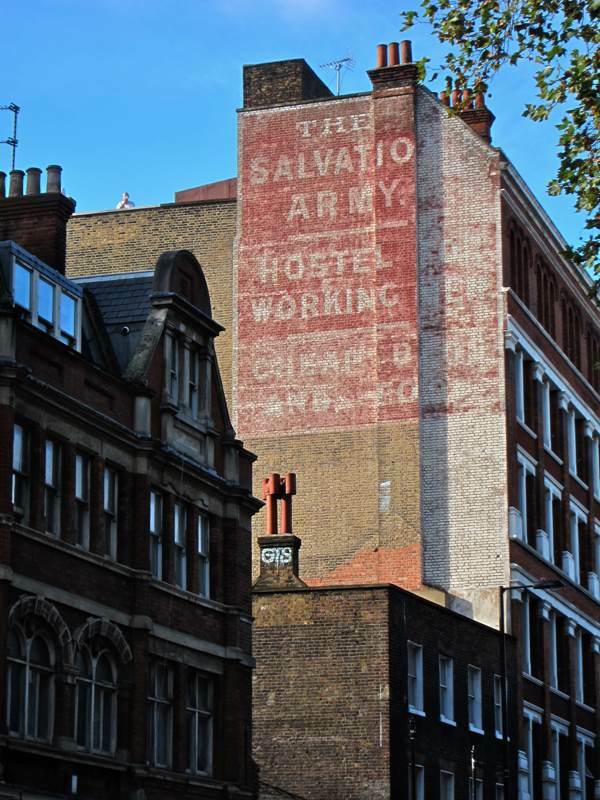 What is now a block of apartments at the junction of City Road and Old Street was the Methodist Leysian Mission since the C19th. 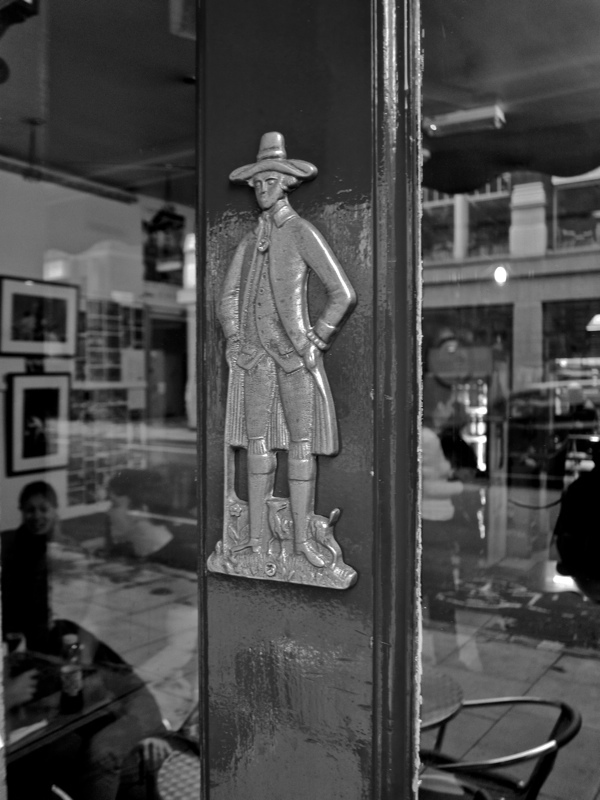 Working closely with local working class people – in contrast , they argued, with the work of nearby more upmarket Wesley’s chapel. Political discussions also took place in rooms in Old Street , including in the later C19th debates between the left and MP Charles Bradlaugh. Although he was eventually MP for Northampton he had been born in Baches St, off City Road by the Old St roundabout, from his childhood. 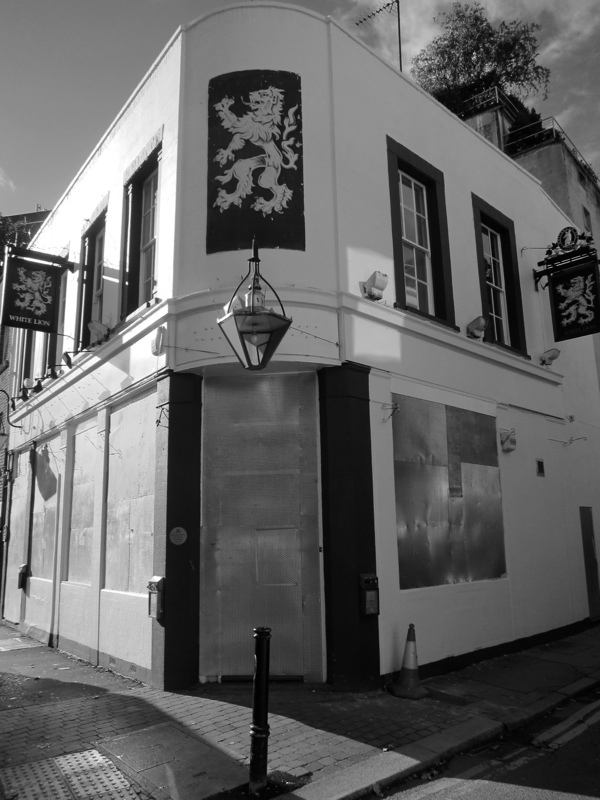 You make it all look extremely inviting, despite the occasional boarded up hostelry. Worth a personal visit.